When you remarry in middle age, the chances are good that you’ll be enlarging your family by more than one person. Between us, John and I now have three sons. (Before remarrying, my boy was the only child of an only child—me.) At the time of our wedding, the three boys were, in fact, not boys at all but young men: my Matthew was 29; John’s Patrick was 23, and Colin had just turned 18. And that is the last time I shall refer to them in an individual, proprietary way; they are ours now. Guys, I know you’re reading this. We love you. Passengers on a journey…what a wonderful metaphor! I’ll have a question or two about the stepchild aspect of remarriage when I interview Wendy for this blog. But for now, and to paraphrase Tolstoy, I can’t help observing that every original family is alike; every blended family is blended in its own way. In John’s and my case, we’ve had scant time or opportunity to engage as a cohesive family unit since our marriage. We relocated from Ohio to Virginia when John was offered a job here. Matthew, already graduated from college, has his own established life in Ohio; Patrick is busy attending graduate school in Illinois; Colin, also in Ohio, is in his first year of college. Varied schedules and the vagaries of geography have kept us apart more than they have brought us together, and John and I knew it would be thus. 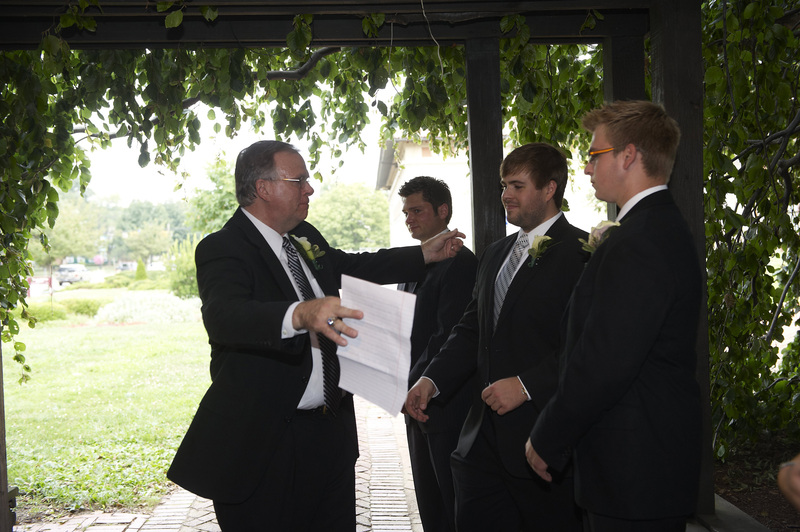 Aside from one major holiday, our wedding was the only time our three sons have been together with us. When we were planning our wedding, then, the question of how to encourage each young man to feel a part of something new, vital, loving, and familial was paramount. What roles could they perform in the wedding to secure our mutual bonds? 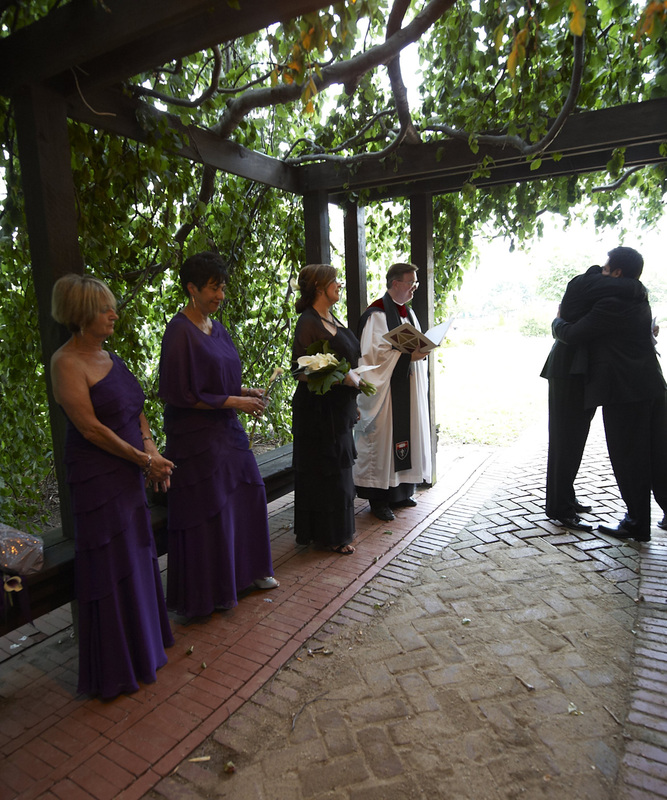 And what—if anything—should we do with respect to ceremonial vows? I’m absolutely not going to say anything that doesn’t feel true. And I refuse to say anything that might tighten the choke hold of their loyalty binds – no “Yay, new family, love everyone, take you to be my children, yay!” kinds of things. Honestly, I Googled “stepfamily wedding vows” and there was so much schmaltz that I entered a whole new emotional state – kind of a cross between nauseated and despairing. So? What’s a soon-to-be “stepmum” to do? Given the differences in our circumstances, the approach that John and I took might not work for the Aussies; those concerns, however, inspired me to share this part of our story on the blog. And I should tell you that it is only with the permission of my husband and all three of our sons that I am doing so; if even one of them had a moment’s hesitation, you’d be reading something else right now. To begin with, John and I felt that it was important for the boys to actively participate in the ceremony itself. 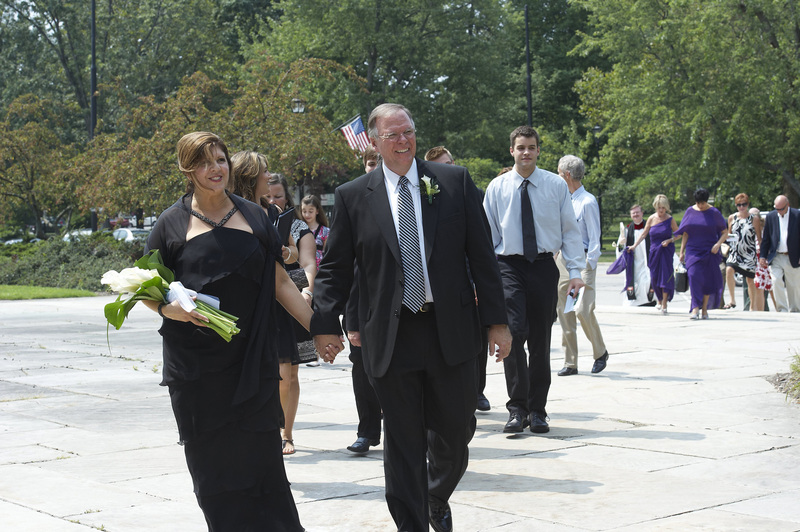 My mother walked me down the aisle at my first wedding; my father had died when I was 13. Now, with my second wedding at hand, who was the logical choice? My mother had passed away in 2000. 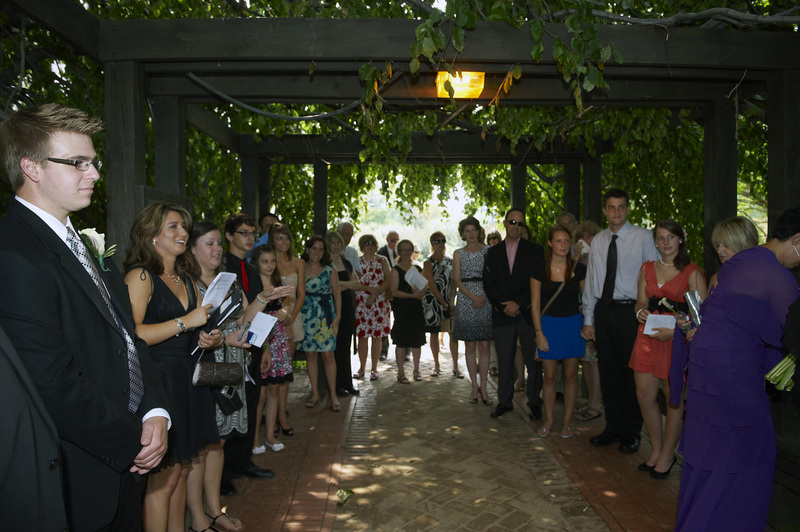 Patrick was John’s Best Man, and he and Colin ushered guests to their seats and lit the candles prior to the ceremony. 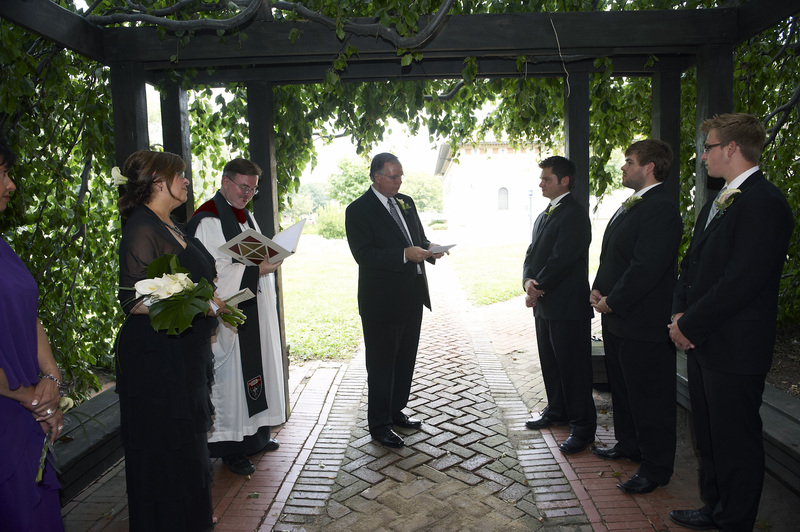 All three of our sons gave beautiful readings during the ceremony. These were clearly age-appropriate roles. Engaged couples with small children might not find them to be the best candidates for candle lighting; perhaps they could guide guests to their seats instead? Or serve as junior members of the wedding party? As for vows to our children, the “Marriage Missions International” website was of considerable help. 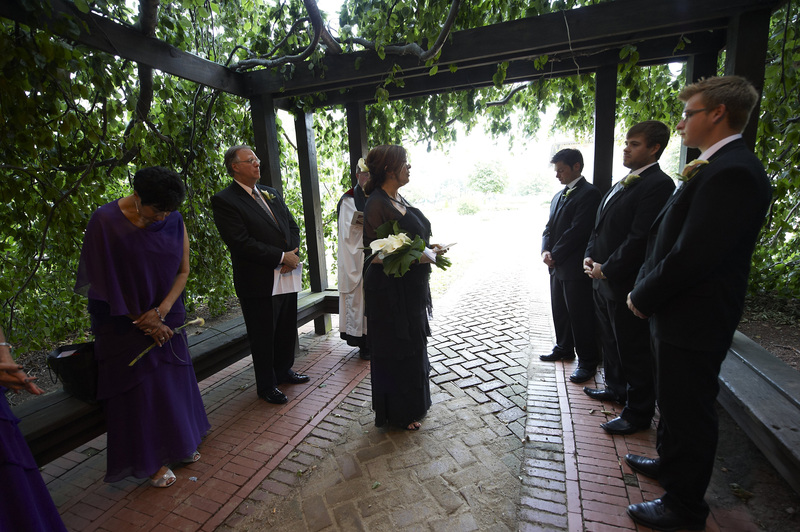 We would, however, articulate these vows in our own special staging. Allow me to explain with a brief bit of back story. 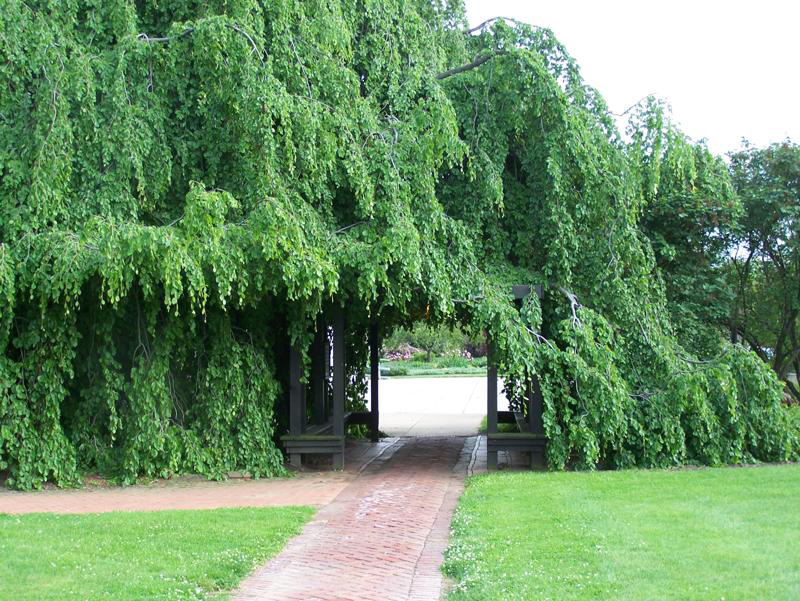 And so it was that one year and two months—to the day—after we first met, following the formal ceremony in Fairchild Chapel, John and I led our guests in a brief procession around part of Tappan Square until we reached the Bacon Arbor and our Laughing Tree. It looked like the Sicilian Wedding scene in The Godfather, Part I. “Matthew, I want you to know that I dearly love your mother. She and I met beneath this tree, and this spot is hallowed ground to us. We have become very good friends over this past year and we have learned to love each other. As you have so graciously shared this wonderful woman with me, so will I share the love I feel for her with you. Together, we will learn much more about each other. “Patrick and Colin, I want you to know that I dearly love your father. He and I met beneath this tree, and this spot is hallowed ground to us. We have become very good friends over this past year and we have learned to love each other. As you have so graciously shared this wonderful man with me, so will I share the love I feel for him with both of you. Together, we will learn much more about each other. Our celebrant, Brian K. Wilbert, concluded this moving part of our ceremony with the sign of peace. Thank you for sharing some of the sweetest moments of your very moving wedding ceremony. My midlife second husband, Eric, and I share only my two adult children, and they have all grown to love each other. But my mother had passed away less than a year before our wedding, so I chose to honor her in a special way and make me feel as if she were there with me. My bouquet was to be a simple arrangement of single flowers–hydrangea, white roses, and calla lilies–to be handed to me, one at a time, by every member of the wedding party. While I stood at the back of the aisle, every member of the family, beginning with my daughter and then my son, stopped, gave me one flower, and proceeded down the aisle. 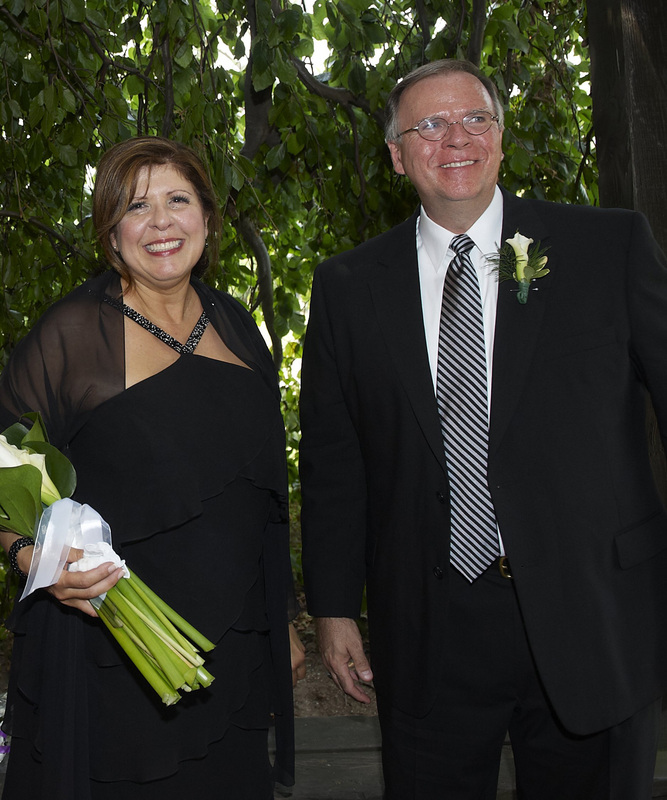 My father, the last person before the groom, gave me two flowers–one from him and one representing my mother. 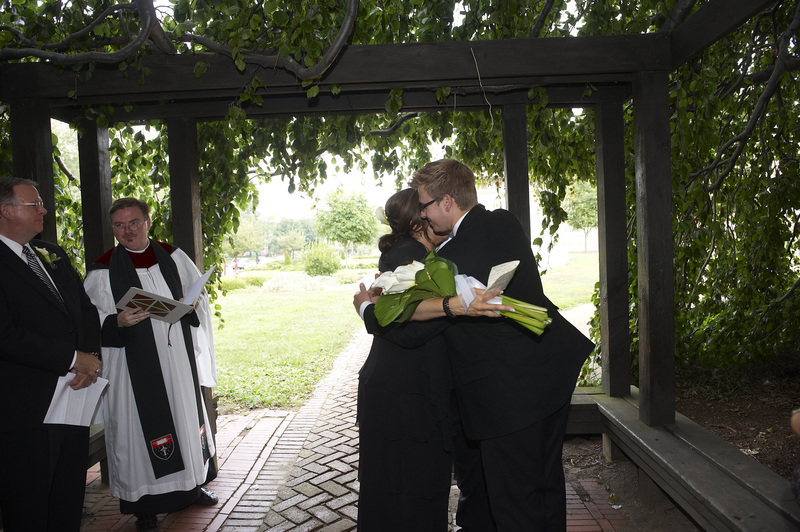 Then, as Eric approached, I gathered the flowers together and we walked down the aisle together toward our future. Debby, this is one of the loveliest gestures I’ve ever heard of…thanks so much for sharing it with all here, and thanks for reading! It’s always a pleasure. Congratulations on creating a blog that’s so full of content and so eminently readable! Your bouquet was very elegant, by the way!